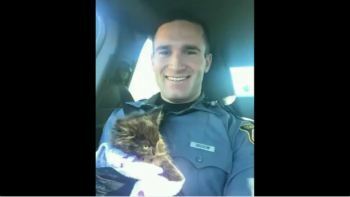 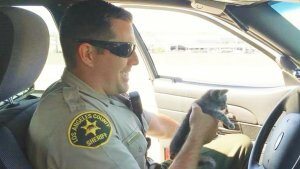 A kitten had a very happy ending when things could have gone terribly wrong on a busy Los Angeles freeway overpass. 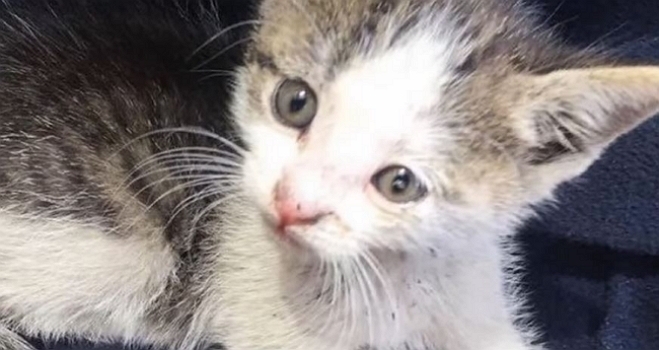 Two workers spotted a tiny kitten being picked up our of a neighboring yard by a hawk. 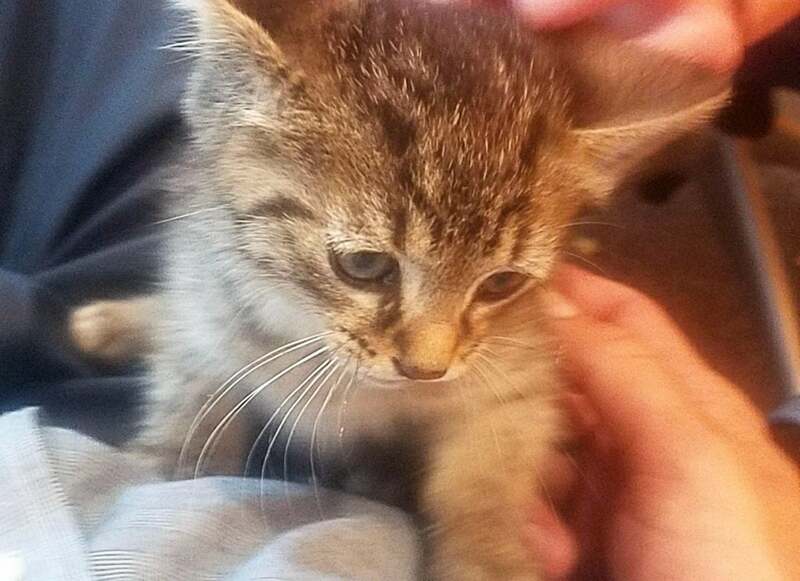 Startling the bird, the kitten dropped two stories, but survived. 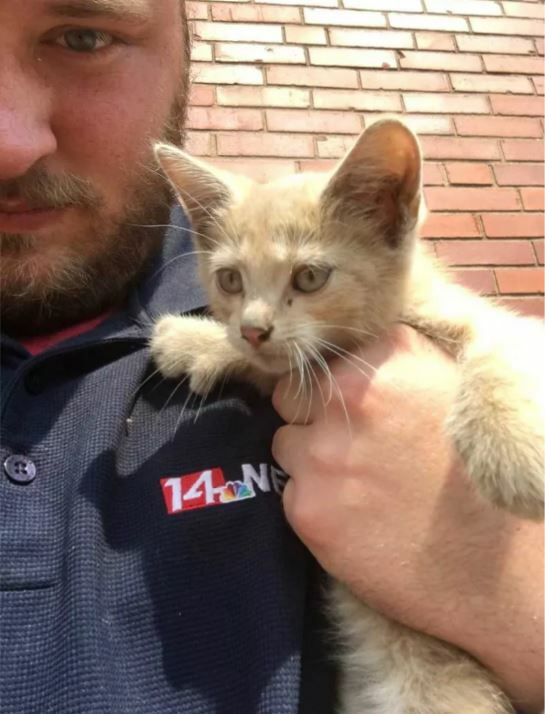 Automotive dealerships are known for vehicles with engines that purr, but that usually doesn’t mean a real cat is involved…or in this case, a kitten. 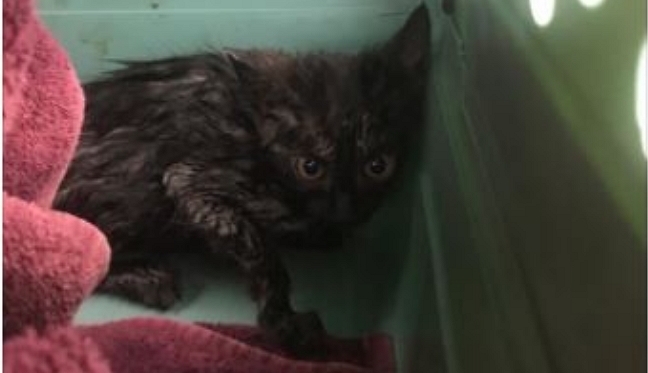 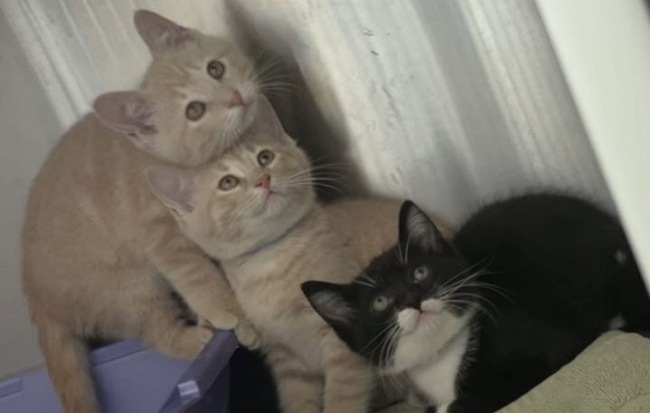 When a homeowner heard mewing underneath the porch, MHS team members were dispatched to the scene for a rescue with some unexpected challenges. 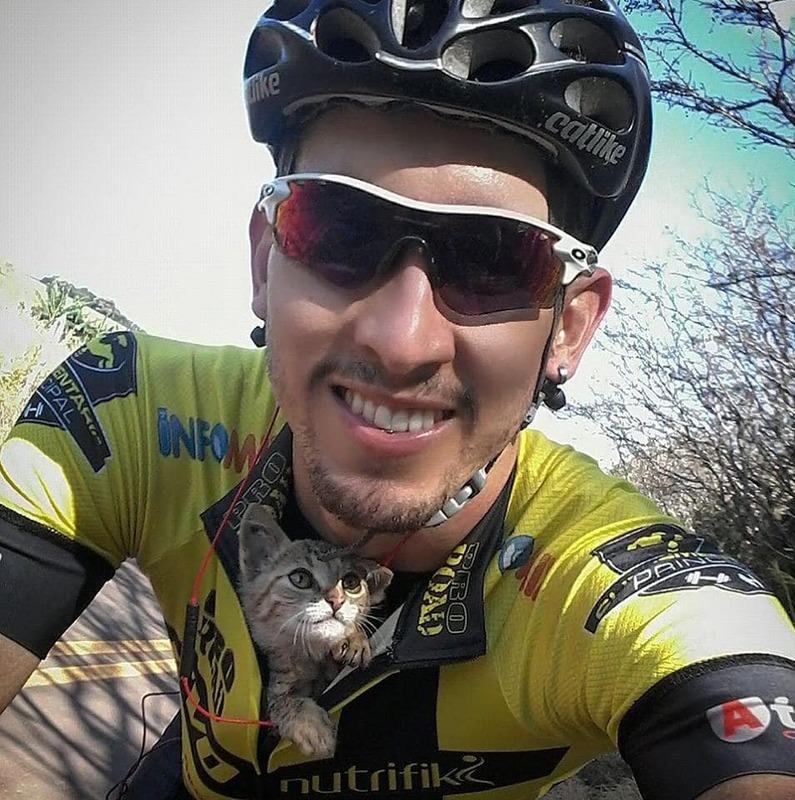 When he spied an abandoned kitten during a training practice, a Brazilian cyclist could not leave it behind. 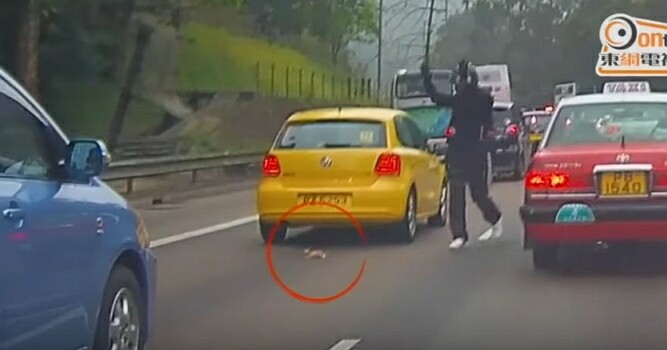 Watch as this man puts himself at risk to save a tiny kitten on a Hong Kong highway. 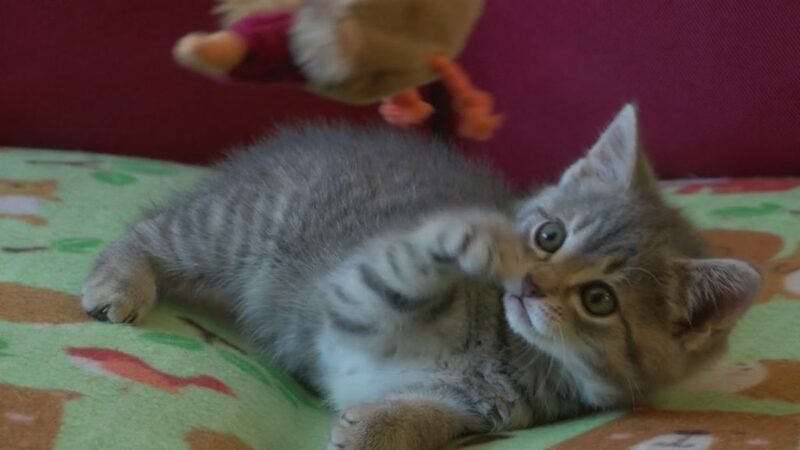 Woody’s story, fortunately, has a sweet and happy ending to what could have been a very sad story.